As the sun sets, friends meet at bars enjoying conversations, a few drinks and eating snacks brimming with flavour. This is part of Spain’s ancient cultural heritage. Discover how to create a multitude of delicious savoury dishes using classic Spanish ingredients, in the appealing Tapas, small-plate style. The class concludes with crisp sugar-crusted Churros dipped in luxurious Hot Chocolate. This style of dining suits Perth’s climate and relaxed way of life, it also allows us to experience a variety of dishes and an array of flavours and textures. 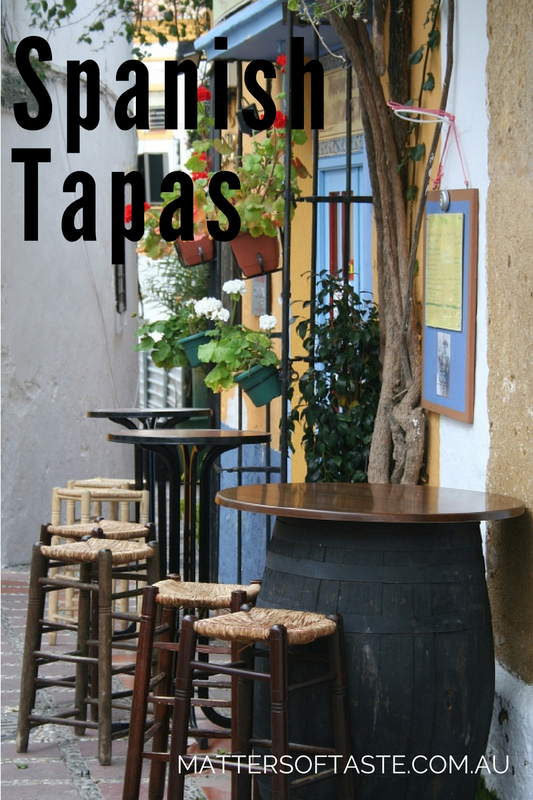 Invite Spain into your kitchen and give family and friends a treat, use dishes as part of a weekend dinner or spread little plates on your table for everyone to enjoy when next entertaining. Finger licking Sherry Paprika and Oregano Chicken, roasted to golden perfection.